Talkin' Birds: The Great Backyard Bird Count Bird lovers around the world are counting birds this weekend for the annual Great Backyard Bird Count, which provides valuable data for avian research. 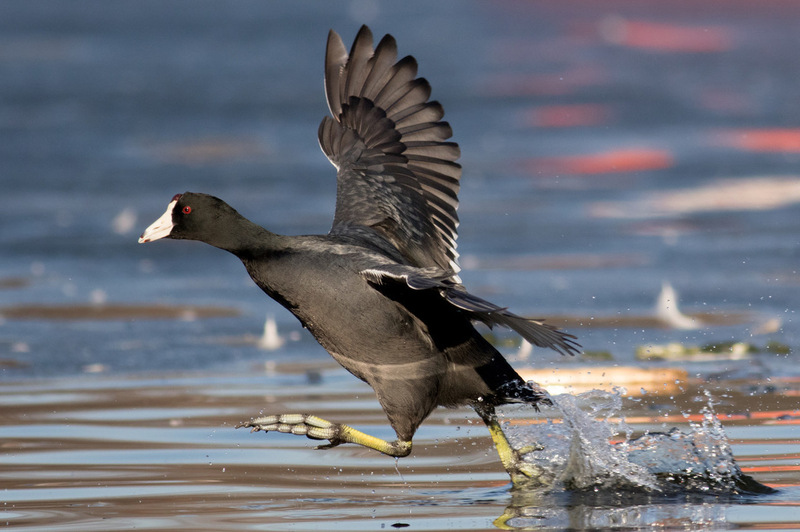 An American coot flies over Brooklyn's Prospect Park Lake on Feb. 5. With every sighting, Tina Alleva, a Brooklyn resident and volunteer for the Brooklyn Bird Club, added to the count. 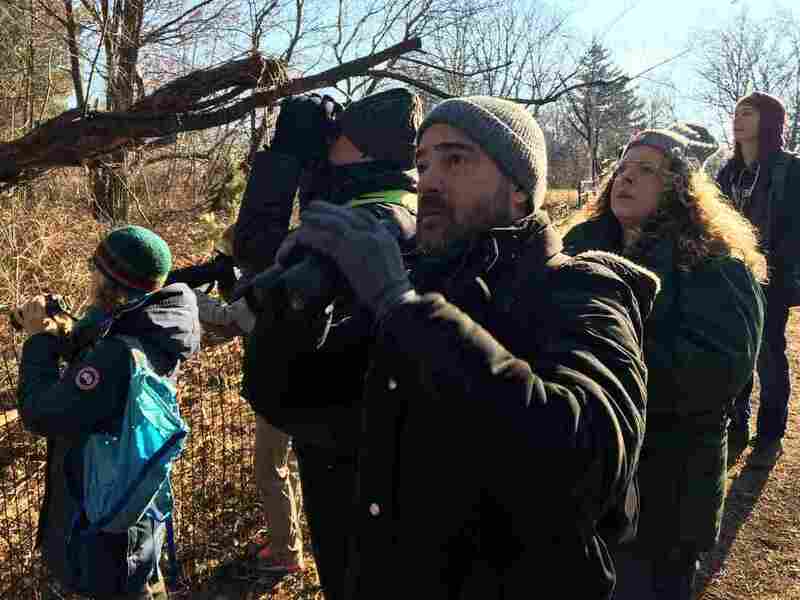 She was counting birds, along with other club members, in Brooklyn's Prospect Park on Saturday as part of this year's Great Backyard Bird Count. The Great Backyard Bird Count is an annual, global citizen-science project that hopes to collect data about wild birds, lots of data. Led by the Cornell Lab of Ornithology and the National Audubon Society, along with Bird Studies Canada and other international partners, bird count participants are asked to go outside for at least 15 minutes and identify as many birds as they can. In the heart of New York City, the obvious birds one might first expect to spot are pigeons, or perhaps more accurately, rock doves. But through their binoculars, the Brooklyn Bird Club managed to spot 43 different species of bird. 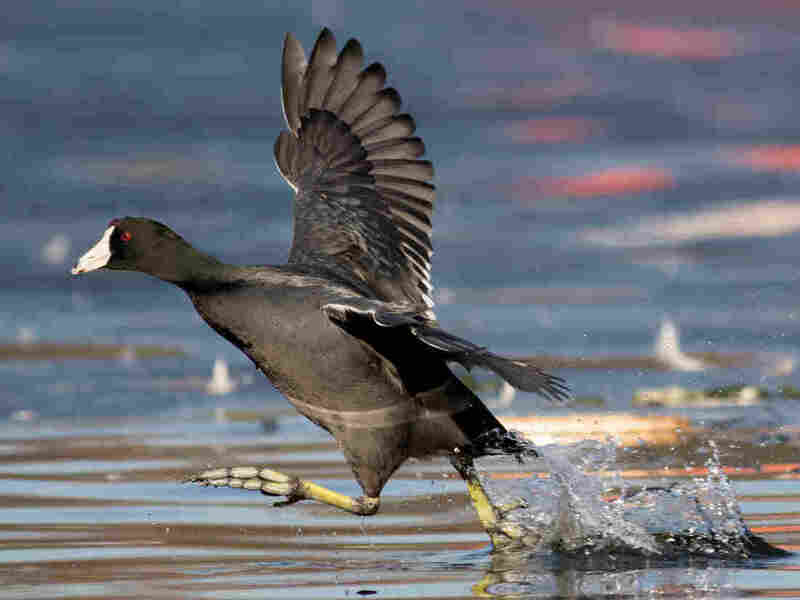 Alleva's final count included eight American coots, four red-breasted mergansers, one merlin, and 101 Canadian geese. 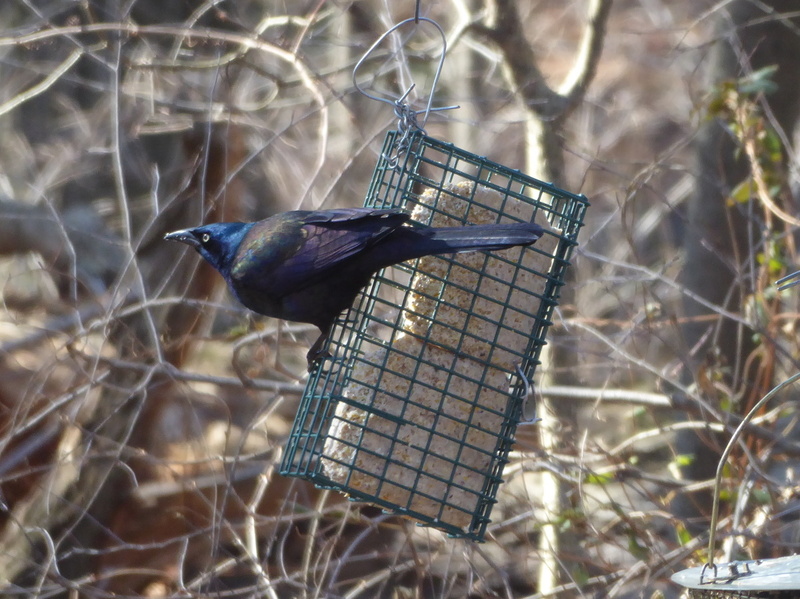 The Brooklyn Bird Club spotted a common grackle perched on a bird feeder on Feb. 16. Her data, pooled with that of participants around the world, will give scientists a better idea of how weather and climate change may influence bird populations or migration patterns. This is the type of information that researchers can't collect enough of on their own. Ray Brown, host of the radio show and podcast Talkin' Birds, told NPR's Scott Simon that the data collected through the count is extremely useful. "Birds are a great indicator of the health of the ecosystems on our planet," Brown said. Data from the bird count helps determine "how we can help birds survive, where they're going, how they're doing." The bird count first launched in 1998, and over time, Brown said scientists can get a big picture idea of what's going on with the avian population, especially when combined with data from other popular bird counts, such as the National Audubon Society's Christmas Bird Count. One example is how over the past 30 or 40 years, many bird species, especially songbirds, have expanded their ranges northward. "Increased bird feeding has something to do with it, but certainly the temperature changes and other changes associated with climate change seem to have a big impact on that," Brown said. Rounding the bend in the dirt path that leads to Prospect Park's bird feeders, Cyrus Baty, a volunteer at the Brooklyn Bird Club, heard a peculiar sound for February: two sharp clicks ending in a throaty trill. Cyrus Baty, center, Tina Alleva, right, and other members of the Brooklyn Bird Club count birds in Prospect Park on Feb. 16. "I haven't heard that in a while," he said as he turned his binoculars skyward. When he spotted a small, sleek, black bird whose wings were capped with orange and yellow feathers, Baty smiled. He explained that the mating call he had heard from the red-winged blackbird usually wasn't out until spring, when the birds typically mate. On a sunny, yet frigid day in Brooklyn, the bird's unique call felt mistimed. “You’ll hear that sound everywhere,” Cyrus Baty told me, talking about the Red-Winged Blackbird’s mating call in the spring. “And now I’ll know what it is!” I replied. While Baty is a seasoned expert at spotting different species from far away, Alleva said the beauty of the Great Backyard Bird Count is that anyone can do it. "It's a good way for people to get out," she said. "This is a lot more fun way to introduce people to birdwatching." Though Alleva once reacted by asking, "Really?" when she was asked to participate in a bird watching walk five years ago, she quickly became hooked to the hobby because she said it's meditative, connects watchers with nature, and "Every time you go out, you'll find something unusual." To help identify the birds, participants can use an app from the Cornell Lab called Merlin Bird ID, which takes information such as the bird's size, color, and location to pinpoint the exact species. Online, participants can submit their counts and see results from others in real-time. In 2018, people participated in more than 100 countries and counted more than 6,400 species of birds. The 2019 count ends on February 18. NPR's Ned Wharton produced this story for broadcast.